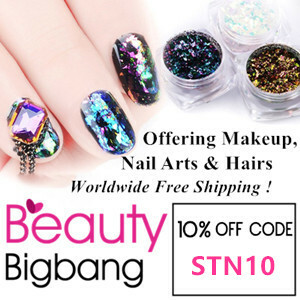 Hello everyone, from today I am starting a new weekly post "Weekend Manicure" that means I will be posting a new manicure every friday (I will try my 101%) .I will be focusing on easy and quick manicures and will try to keep post short and sweet. 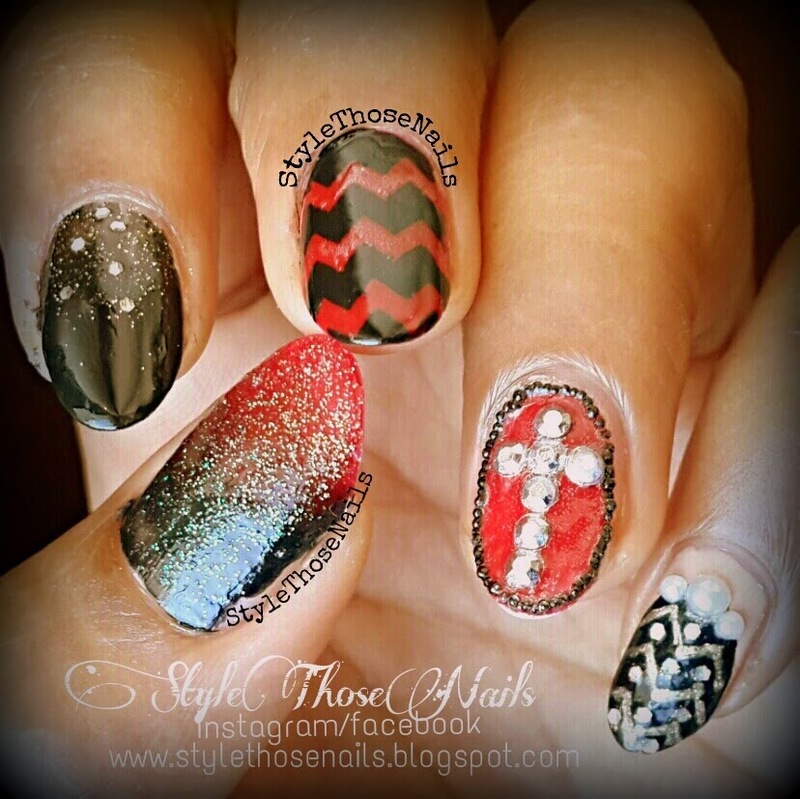 Today I did a mix and match manicure and also tried stick me nails chevron strips that I won in a giveaway by Dear Natural 62 ! (I hardly win giveaways hehe). I will link stickmenails etsyshop link also in the end. If you have seen my yesterday's blog post on Easter Nails (HERE) you can recognize that my middle and pinki have same nailart. Actually it's too cute to remove in a day so I just removed designs from other nails and did this manicure. 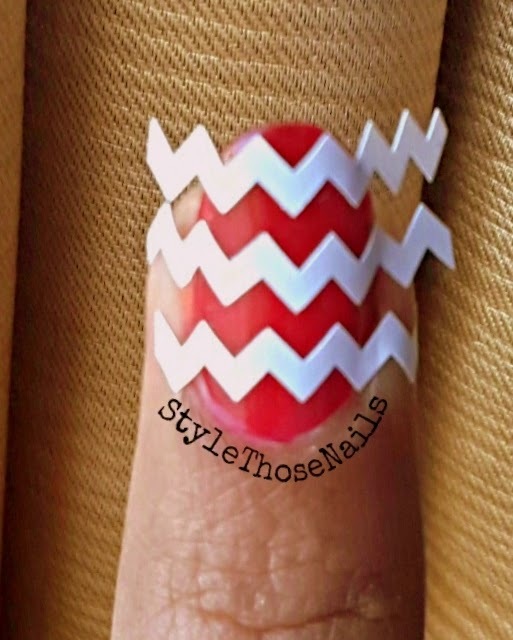 Here is how I did chevron nails using stickme nails chevron. I did a red base and let it dry completely. Then I put strips and lightly pressed them and painted the whole nail with black polish and then peeled of strips when the paint was still wet. Loved how easy it was !! 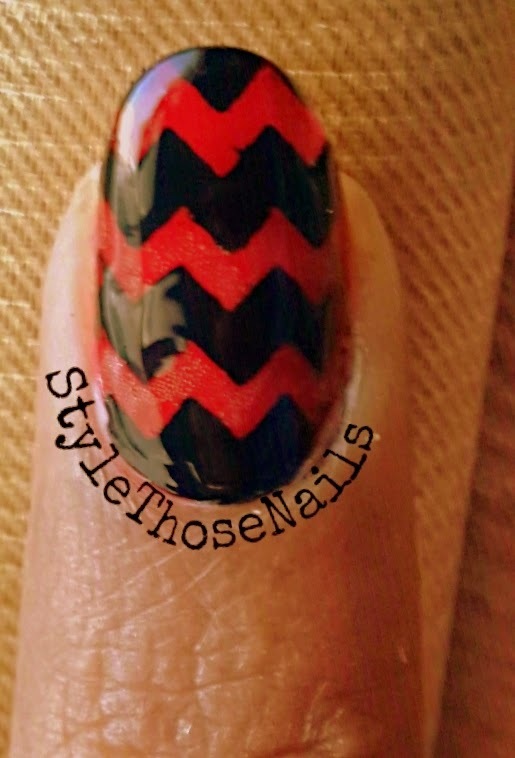 On pointy I added a golden glitter polish near cuticles and on thumb I did a gradient from black and red polish WITHOUT SPONGE (hehhe it was so easy n quick). I have to do a separate post for this method. Anyways let me know if you liked this manicure and also the idea of this post. 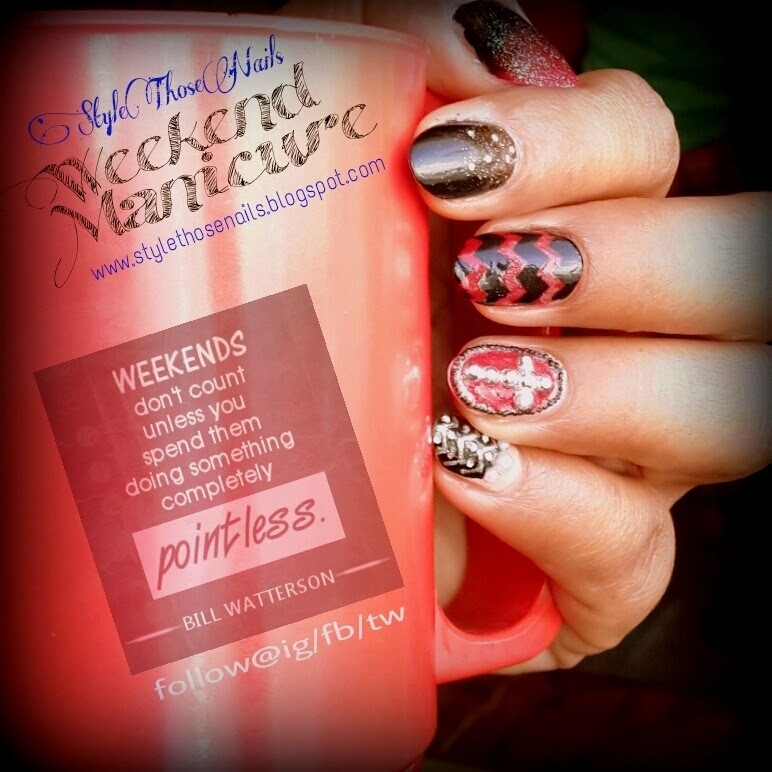 Would you like to see more weekend nails. How you are going to spend this weekend ? Anything new?